Presented by MAD tourbooking, Persistence Tour is a must-see spectacle taking place every January. The announcement of the 2019 edition, which will be kicking off in Berlin on January 17th, came with the first band to be confirmed. 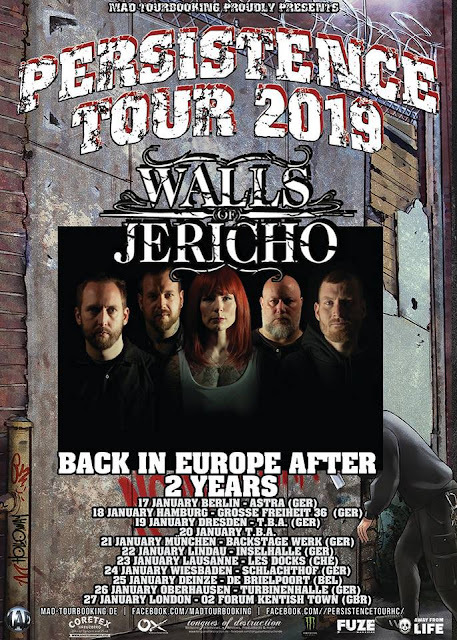 Turns out the powerhouse of Walls Of Jericho will be bulldozing the stages of Europe after two whole years and we are definitely looking forward to the entire lineup announcement.